A new version of Google Glass is coming soon, says Google partner! A new version of Google Glass is coming soon, apparently, says a Google partner. Google plugged the plug on the Explorer edition of Google Glass in January. 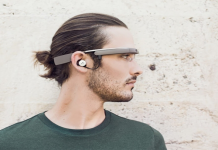 Google Glass Explorer programme launches in UK with a bonus! Google Glass went on sale in the UK yesterday, with the high-tech wearable item available to anyone over the age of 18 with a spare £1,000. Google Glass set to go on sale for one day in the US! Google have officially announced that 'Google Glass' will be going on general sale in the US for a limited period only.